Carter chats with cartoonist Bosch Fawstin about free speech, Islam, and his recent Facebook ban (you’ll never guess what they actually banned him for). 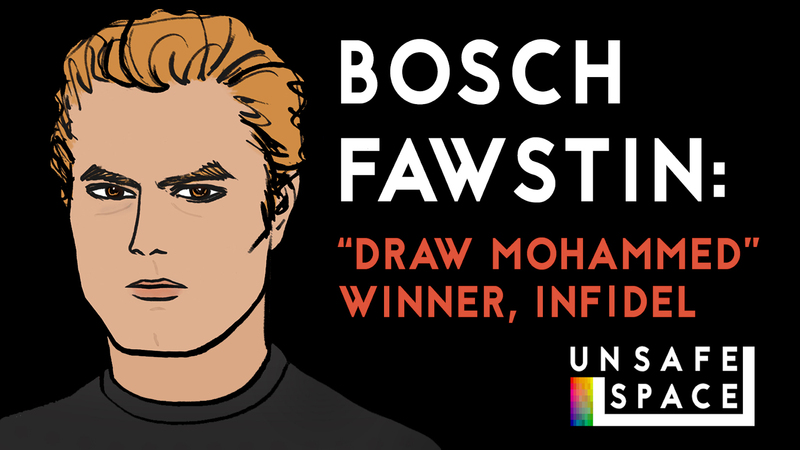 Bosch is an Eisner Award nominated cartoonist, winner of the Mohammad cartoon contest that ended with two jihadists getting their heads blown off. Creator of the anti-jihad superhero comic book, Pigman, as well as other books. About to release the 4th Pigman comic book, The Infidel #4, and a new book, Peaceful Death Threats, which is a collection of the many death threats he’s gotten for drawing Mohammad, and which inspired 60 new Mohammad cartoons created exclusively for the book.